Despite exponentially more capable processes, systems, hardware, software, and AI than a decade ago, one thing has remained constant: a business succeeds or fails based on the people involved with the organization. All the cutting-edge, next-generation paradigm shifting will amount to nothing if a company doesn’t have the best leadership, managers, and rank and file employees who unite in common cause to make the business a success. Just as technology has evolved to become more powerful and more complex, Talent Management must also adapt and incorporate available and emerging technologies if companies are to continue to compete successfully in the global marketplace. Current generation SaaS software has largely rendered obsolete much of the legacy and on-premise software used for onboarding, payroll, and workforce and benefits management. The challenge today is in finding better integrated, more capable products to deliver an ROI and improve HR processes and provide a better employee experience. 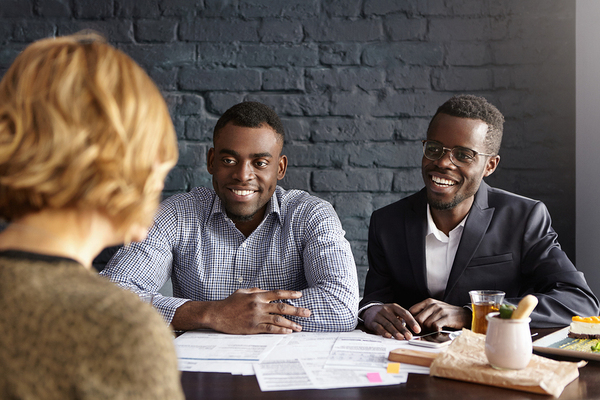 Traditional HR headhunting entails sitting in an office, reviewing resumes, conducting phone screenings, and setting up in-person interviews if a candidate met certain criteria. It is a reactive function that activates only when a new position is created or an old position is vacated. Talent management includes anticipating the need for new workers, and constantly optimizing that talent, providing paths for improvement, and keeping turnover to a minimum. Where in the past talent management was a separate entity from C-level business strategy, it has become an integral part of the management infrastructure. As departments and divisions become more integrated, companies can better understand how employees and teams work together, what type of employee performs best under which conditions, and how the organization’s reputation and culture compared to its competitors. The modern HR department can take advantage of not just job aggregation sites such as Monster, Indeed, and Craigslist, but also tweeting, blogging, and considering referrals from current employees. This significantly enlarges the available talent pool. HR tech can use automation and machine learning to scan resumes for relevant experience, administer skills tests, verify employment status records, and run background checks to narrow the range of candidates. All of this means a company’s talent managers can spend less time vetting potential employees and more time focusing on strategic recruitment. Why do employees stay? Or Leave? What helps to make them top performers? How do we build on their strengths and diminish their weaknesses? These are just a few of the questions the best companies ask themselves about their employees. The answers to these questions and more lies in people analytics: software and digital tools that parse information from surveys, statistics, measurements, activities, and processes to delineate how a company functions and how best to improve. Technology also allows for more in-depth analysis and reporting which provides managers more and better information to make the best decisions for getting the best out of the employees under their supervision. Using analysis tools and metrics, top performing employees can be groomed for leadership roles instead of the company having to depend on outside candidates. In a global market that continues to generate increased competition for the best talent, a company that fails to develop from within risks the loss of continued growth and market dominance by failing to retain their best assets as well as attracting top new talent. Accountability for talent development can be handed off—at least to a degree—to the management ranks. With access to metrics and analysis tools, managers can own their responsibility for managing their employees and providing increased training and promotion paths instead of relegating it to HR and the C-Suite. Where before employees were considered in terms of the cost to a company, now they are rightly being seen as valuable sources of talent, skill, and diversity. Today’s business world is filled with independent, free agents each of whom may stay or leave based on a variety of factors. They are also more likely to attract employees that can grow to become future leaders of the company. Subconsciously, it’s almost impossible not to favor candidates based on their coming from a familiar city or school, or because they wore the same shoes, or like the same food. However, these similarities have no correlation to how well someone may fit in with a company’s culture. Many new startups such as Gild, Entelo, Doxa, and GapJumpers are using the software in an attempt to hire more diversely and efficiently than people can. And older recruitment firms such as Korn Ferry are beginning to incorporate algorithms into their work, too. However, data is still just one tool for recruiters. Human expertise is still necessary if only to analyze the data and make certain it isn’t simply codifying biases that keep a company less competitive while still entrenched in its old, inflexible culture. 85% are concerned about current workforce skills. Performance management software allows organizations to set and measure goals in a more collaborative and efficient manner. Without good data, businesses cannot effectively determine what makes people join their company, who will thrive and who will flounder, or how the organization can assume leadership roles within their industry, improve customer service, and drive innovation. The most successful organizations regard their employees, their talent, as strategic assets. They seek to align their workforce with their business objectives and use technology to measure results, monitor performance, direct decisions to be better and stronger tomorrow than they are today. Contact us to learn more about how Denovo can help your company transition to a modern talent management solution.